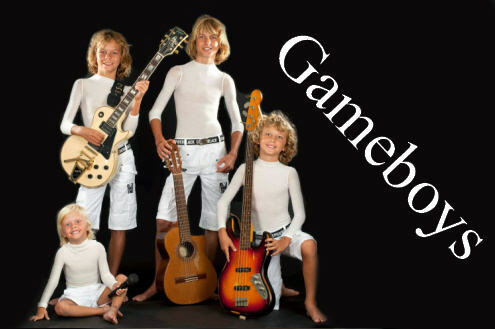 Sven Game is part of the musical group The Gameboys from Spain. Finding new unique young artists to feature on Rivenmaster’s Place is always a challenging but enjoyable experience. Today we are privileged to introduce a very special family of sibling brothers coming all the way from southern Europe. When you hear the name “Gameboys” you usually think about a hand held electronic game device created by Nintendo in 1989. But these Gameboys are much more exciting than an electronic game. While the use of electronic guitars may enhance their sound, these guys are not just playing around. 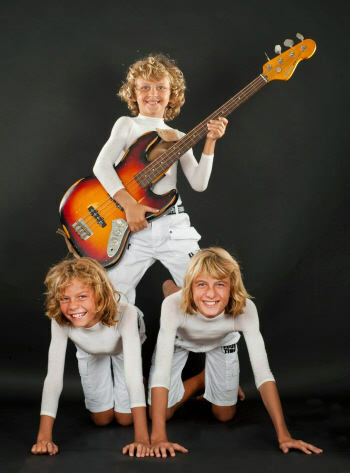 Together they make some real music and bring joy and excitement wherever they go. This was the beginning of what is now known as “The Gameboys”. Each day Sven and his father would return to the beach to entertain larger and larger crowds. Soon gigs started to come in for birthday parties and other social events. When school dismissed for the day Lars and Kay would join in on the fun. 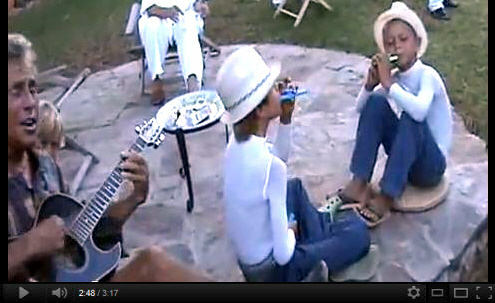 They were only 7 and 8 years old when this video was taken.